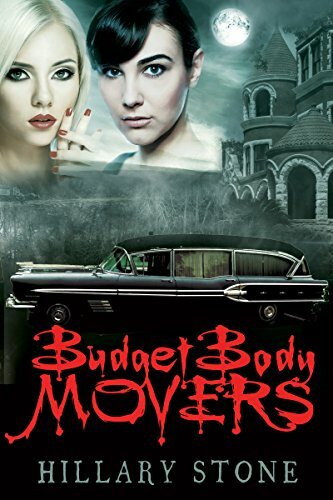 Exciting, mysterious, intriguing, girlishly fun and sorrow are just a few words that describe the novel “Budget Body Movers” by Hillary Stone, an author from Texas. Lucky Day is the main character in this paranormal romantic thriller. She is gut wrenching, throw up afraid of dead people. That’s a serious problem when Budget Body Movers is the family business. Things get worse when Lucky’s mother and uncle die suddenly in a car crash. Lucky is determined to conquer her horror of the dearly departed and save the business. Her long-time friend “Vickie Jorden” quits her job to help Lucky. A mysterious new client pulls Lucky and Vicky into a dangerous web of murder, kidnapping and vampires. As the body count rises, Lucky meets Douglas Mossbury, a handsome stranger, whose past and future are tied to her own. Is Douglas the great guy he seems to be, or part of the terror that has seized her home town? Can Lucky face her fear and learn her family’s closely held secrets before it’s too late to save the ones she loves?